A couple of weeks ago my husband and I enjoyed a belated anniversary getaway while the kids were out of town with my parents. 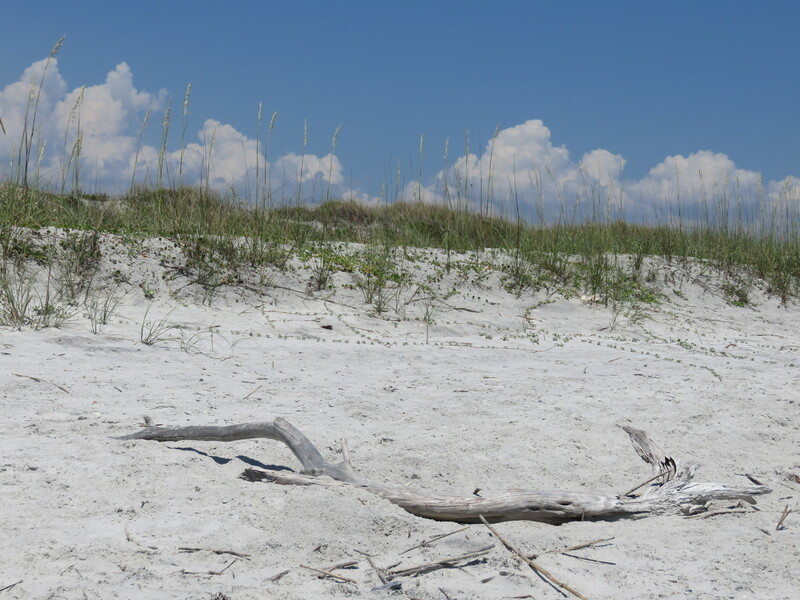 We went to Fernandina Beach/Amelia Island, Fla., and relaxed for two days by wandering through shops in the historic district, feasting on fabulous seafood, and sunning on what was practically a private beach at Little Talbot Island State Park. One of my favorite things about the beach was our time spent walking along the shore. An infinite array of shells covered the sand, a rainbow of every color and in every size. 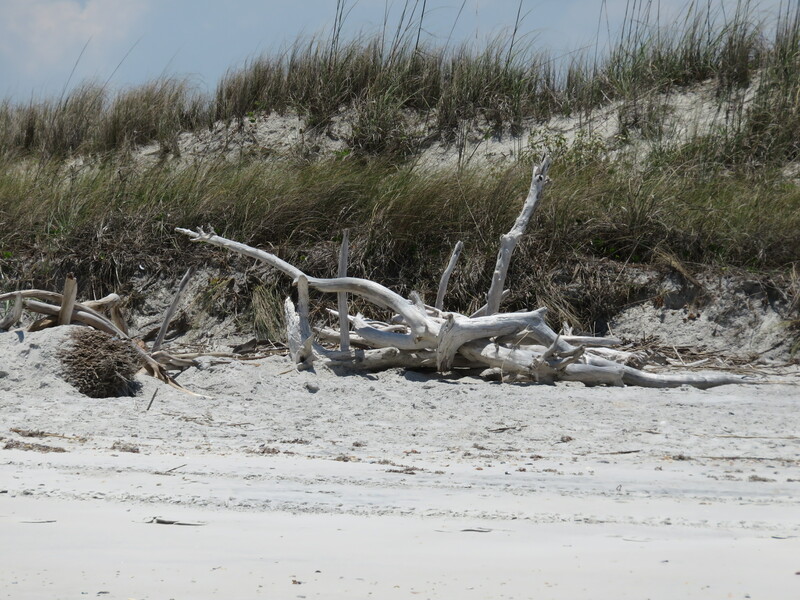 But as much as I love shells, the best beach treasure for me was the sections of driftwood scattered around. Stark and white from the weather’s bleaching, they reached in all sorts of directions as if they were trying to scrape the brilliant blue sky. Some were simple – just a couple of straight branches like a slingshot. Others were a tangle of intricate knots. They were all beautiful and they all fascinated me in their own way, even though they are long dead and no longer have flowers or leaves to rustle in the sea breeze. It took a while for me to figure out why they fascinated me so. After all, they were leftover parts of dead trees. Then I decided that was partly why I liked them. They used to be part of something else, something bigger and fully alive. Then something happened to break them away from the rest of the tree and leave them stranded on the beach. How many times has the same sort of thing happened in my life? I make my lists and map out my plans and think I know exactly how things are going to happen. 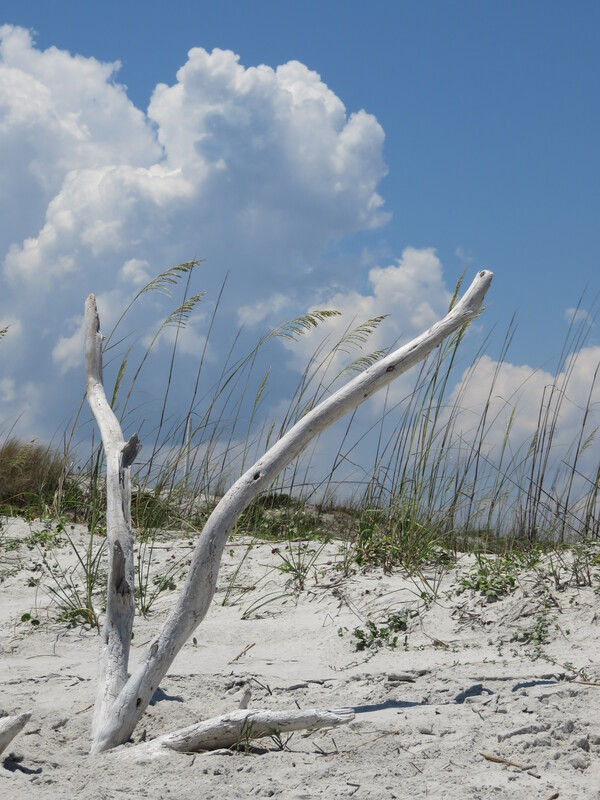 Then – just like with the driftwood – something happens and changes everything I was expecting. I’ve been through that scenario more times than I can count, in both my personal and professional lives. The issue quickly becomes a question of how I handle the surprise and upheaval. Do I distance myself from others who might want to help me in a hard time and become hard and brittle? Or do I remold myself and let the twists and turns become part of a new me instead of something I fight? 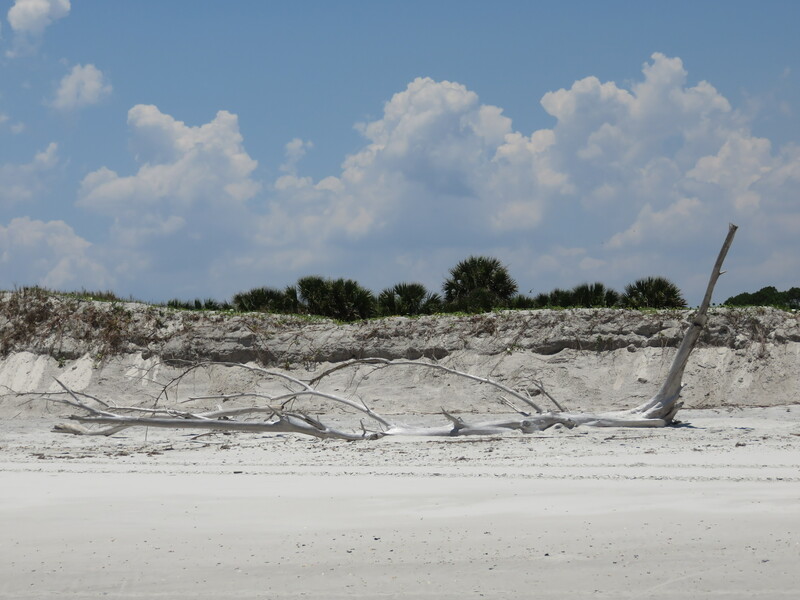 I’d like to say I’ve learned to always adapt to the new version of things and become a beautiful reinvention like the driftwood. But if I said that, I’d be lying. I probably will always be a list-maker and a plan-mapper. I just need to learn to not be quite so married to those lists and plans because they can change in half a heartbeat. I can’t be paralyzed like those branches, still reaching for things that are no longer in my grasp. Instead, I need to be open to God’s leading and be flexible enough to adapt and find joy in whatever He sends my way. It’s not always easy. But if I ask for God’s help and keep working at it, I can be beautiful wherever God puts me. Just like the driftwood. Your turn: When was the last time God changed your perfectly-laid plans and sent you in a new direction? How did you adapt and still show His beauty?